THE ELVIS PRESLEY - FRIDAY MUSIC 180 GRAM AUDIOPHILE VINYL SERIES CONTINUES! CELEBRATING 5 DECADES OF HIS INCREDIBLE LAS VEGAS LIVE RECORDINGS ! 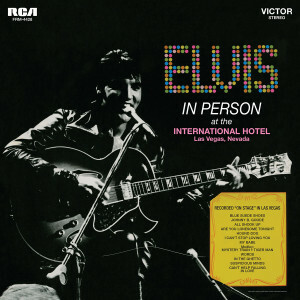 FEATURES A STELLAR OVERVIEW OF HIS CHOICE 50's & 60's HITS LIKE "HOUND DOG" & "ALL SHOOK UP" "SUSPICIOUS MINDS" "MYSTERY TRAIN" & "IN THE GHETTO"
Being his first official live album, and also being his first live concert appearances since the early 60's, the Lp went on to become one of his most important and historical albums in his amazing catalog. Showcasing some very hard rockin' live performances with a incredible musicians like guitarist James Burton, Ron Tutt on drums and The Sweet Inspirations and The Imperials on background vocals, “The King” sings an energized arsenal of tunes from all facets of his career. 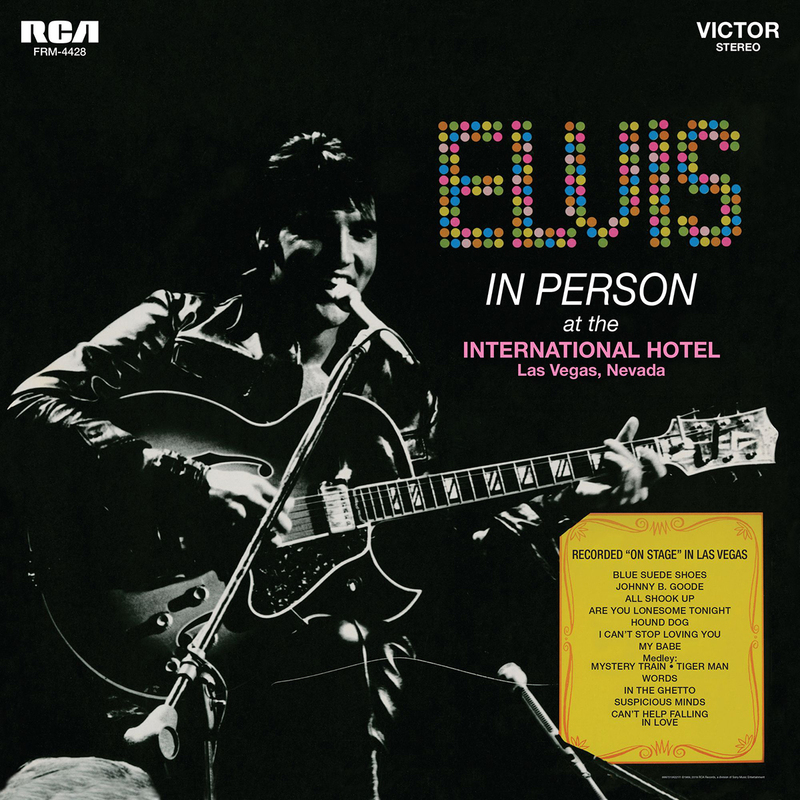 Incredible live tracks include “I Can't Help Falling In Love“ “In The Ghetto” "Hound Dog" "All Shook Up" and a extended live workout on his then current hit single "Suspcious Minds." Mastered impeccably by Joe Reagoso, this legendary Lp will be a much anticipated audiophile vinyl dream release for Elvis fans everywhere. For a limited time, we are enhancing your Lp with first time gatefold cover art, as well as a striking 24” x 24” poster insert of the front cover artwork.